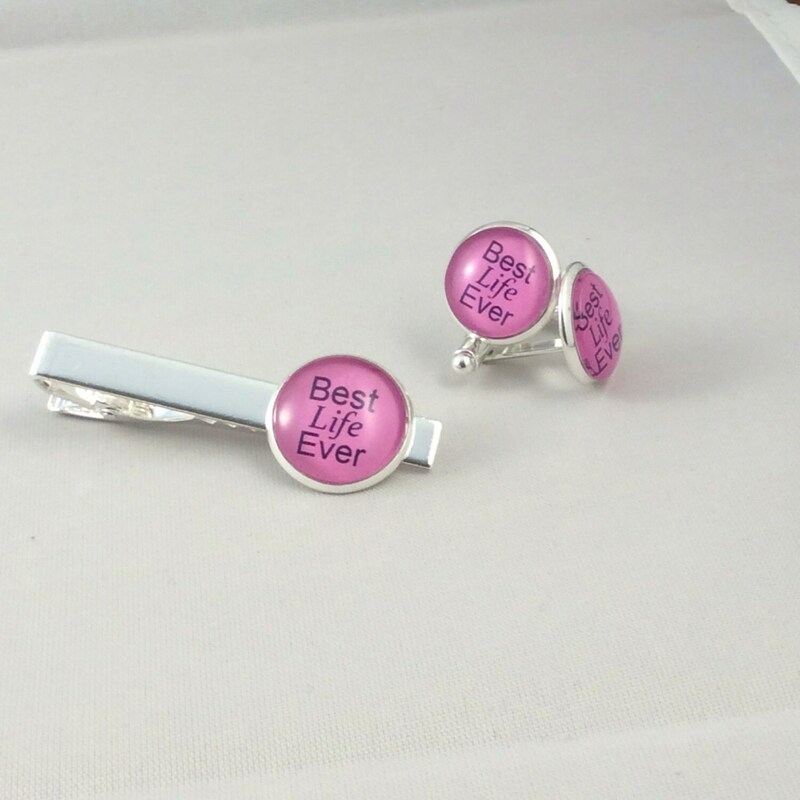 JW Best Life Ever Cufflinks /Tie bar Set 14mm /20mm Silver-tone and Glass. Blue Velvet gift bag, Eight color choices! 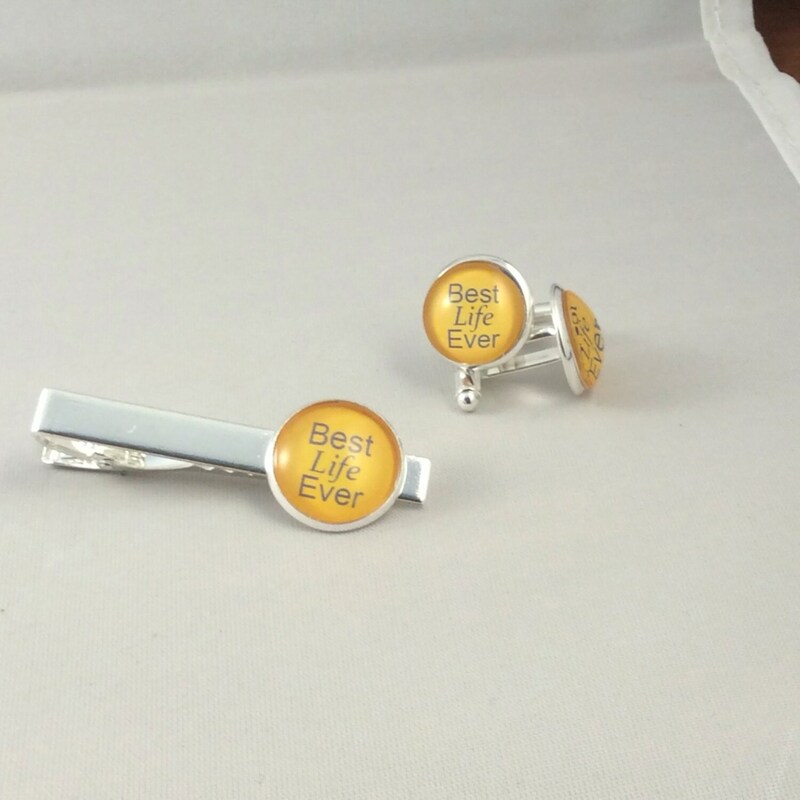 Best Life Ever Cufflinks and Tiebar Set. 14mm/16mm glass. JW.ORG. 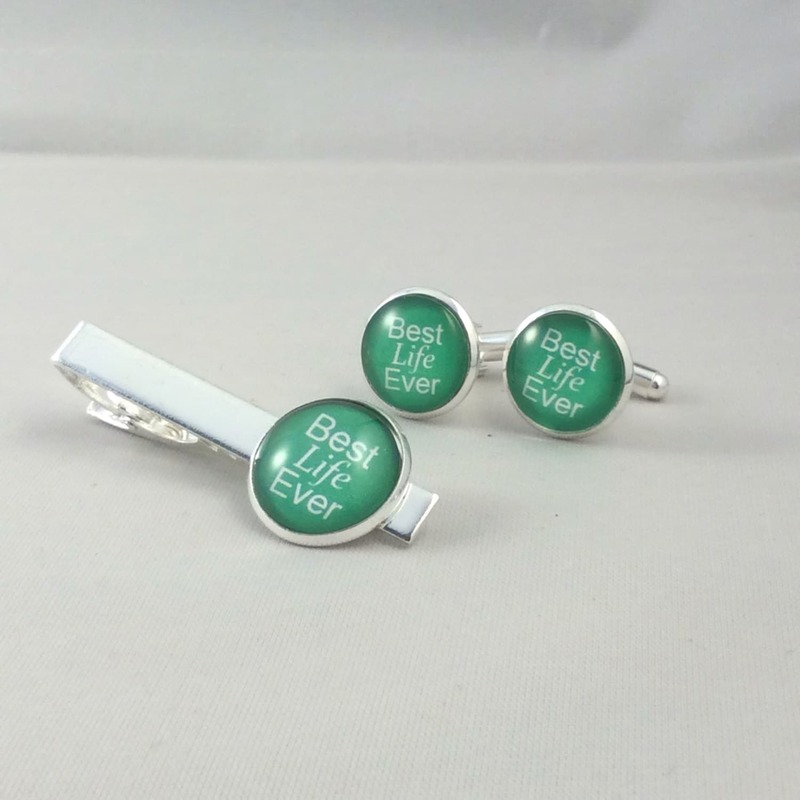 Great gift for baptism, pioneering or convention. 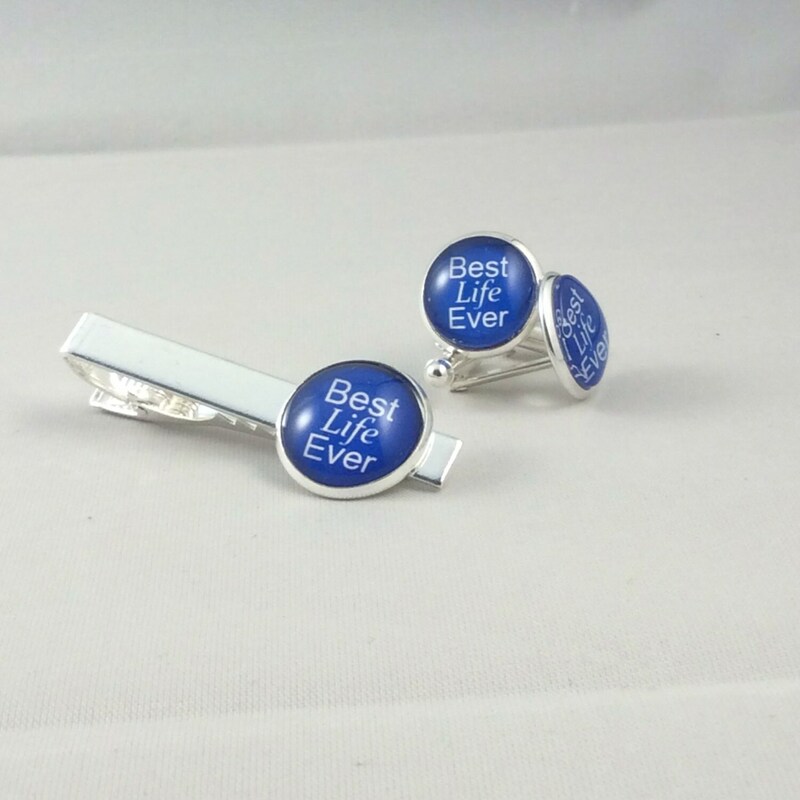 Presented in a Blue Velvet Gift Bag! 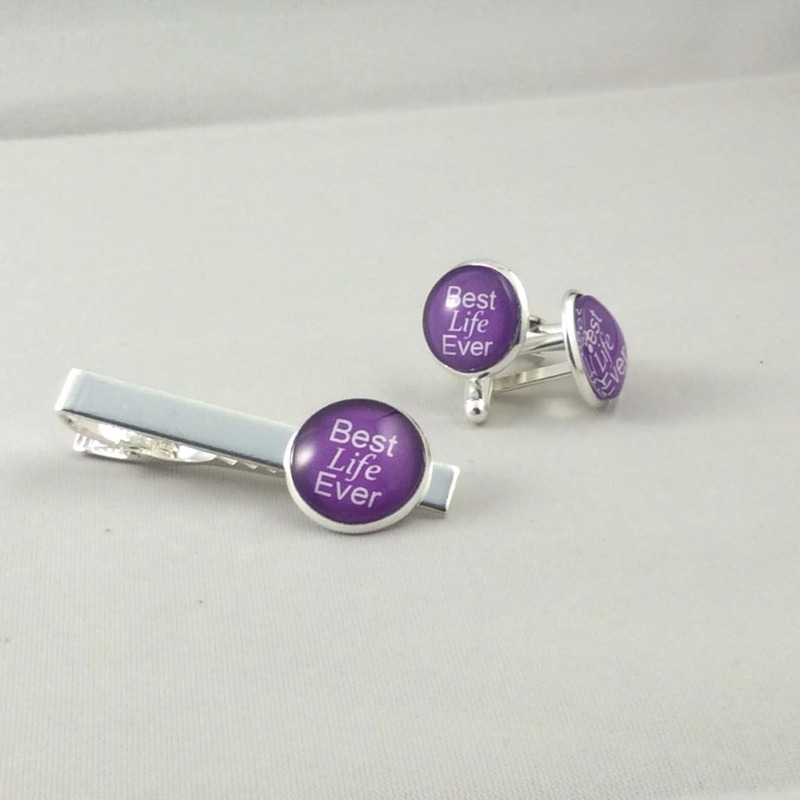 Eight color choices!